Possibly the most significant of all your home furnishing purchases is your mattress. We have taken the mystery out of shopping for a mattresses by partnering with what we feel are two of the best companies in the industry…Bowles Mattress Co. and Aireloom. The Bowle's family has earned a reputation for building high quality sleep systems at affordable, no-nonsense prices. We invite you to compare Bowels to the big national brands and we think you'll agree that the Quality, Comfort, and Value can't be beat. 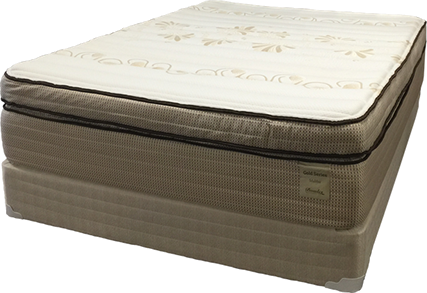 Best of all, Bowles Mattresses are locally made in Indiana and are available exclusively at Best Furniture Gallery. Aireloom was founded in 1940 by King Karpen, the originator of the handmade California mattress. Luxury at its finest, Aireloom’s patented designs are inspired by the California state of mind and aesthetic, informing every contour, stitch and material. Aireloom mattresses are handmade in California and Pennsylvania using the timeless craftsmanship and innovative methods they have been perfecting for over 75 years.